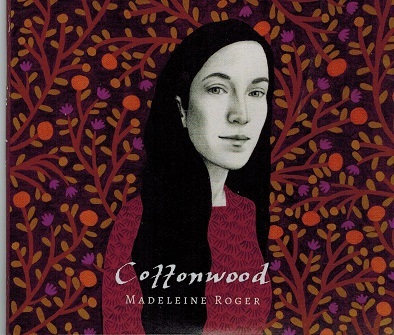 Madeline Roger is a folk/roots singer/songwriter from Winnipeg, Manitoba. While accompanying herself on acoustic guitar in multiple tunings, it is her artistry as a songwriter that can silence a room, uniting her captivating voice with vivid lyricism and maturity beyond her years. As a lifelong traveler, she is prone to absorbing stories and questioning the way things are, creating songs with imaginative melodies and honestythat bares truths about being alive. The CD was recorded at Paintbox Recording in Winnipeg. The album combinesthe elegant storytelling of folk traditions with the grounded vibe of roots music.The CD was produced by Madeline Roger and Lloyd Peterson (The Wailin' Jenny's ,The Weakerthans). The songs portray Madeline's reflections on femininity and equality, the majesty of the wilderness, and the beautiful awkwardness of trying to love another person. This CD is a very fine one and contains well-written songs by Madeline,and her voice is very similar to that of Joni Mitchell says Atlantic Seabreeze and is awarded a 5 star rating out of 5 stars. For more information regarding Madeline and her music, refer to her website,address posted above.